If you’ve recently caught the luxury handbag bug and want to make your first purchase, it can be difficult to know where to start. Most of us want to find something that is both versatile, but recognisable so that it will make a statement. Ideally you’ll also choose an investment piece – a bag that will remain in style and hold its value. If it’s your first time shopping for a luxury bag, it can be difficult to know what to look for and what makes a piece a great choice. In this article, we share some tips to help you choose your first designer bag, and get your luxury bag collection off to a stylish start. The first thing you should be assessing before you pick a bag is your personal style. You need to take a look at what defines you, your personality and clothing choices. Everyone is unique, and we all have our own inclinations and preferences. Start by looking through your wardrobe to see if you can identify a theme. Also note what style of handbag you’re generally drawn to – totes, clutches, cross body bags or something else? Now that you’ve identified your style, you can start looking for certain characteristics. What kind of material are you looking for? What is your favorite silhouette style? Are you looking for something with a lot of capacity or something more discreet? What about the handle and strap length? These are all things that will allow you to narrow down your selection. You should also assess your lifestyle, and how you intend to actually use the bag. Do you like to go dancing often? Or are you more of a workaholic and need something more utilitarian? If that’s the case, then a tote bag might be a better choice. But if you want something to carry on a night on the town, then a clutch might be more appropriate. Before you buy your designer bag, you need to establish how much you’re willing to pay. Many people are reluctant when it comes to their first purchase, and might try to find a bargain whichever way they can. Some will go to outlet stores, for instance, in search of a deal. But contrary to popular belief, most outlet stores don’t sell surplus merchandise from their main line or out of season items. Instead, they will sell a lesser version of their regular line made specifically for their outlet stores. So instead of getting a bargain, you’re actually paying for a lower quality bag, and sometimes at a lower quality/price ratio. If you want quality, you have to be prepared to pay for it. For example, a cheaper bag is likely to be mass manufactured, while a high-end bag has more chances of being handmade, constructed and painted. The level of craftsmanship between a $2000 and a $800 bag is instantly noticeable, and the quality of the materials used is far superior. You should also consider where the bag is made; a bag that was made in Spain, for instance, will usually be more expensive, however, the quality will also be much better on average. One of the biggest challenges when picking a bag is choosing the right colour. First you have to identify if it’s going to be something you want to wear year-round, or specifically for fall/winter or spring/summer. 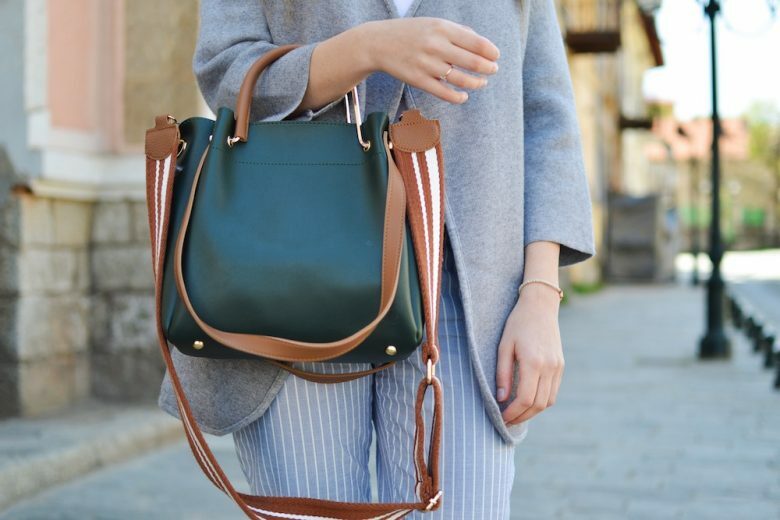 If you’re going to start with one bag, a good idea would be go for something that will look in every season. However, it’s all about how often you intend to use the bag as well and for what occasions. Now that you have identified your style, colors and budget, you can start looking at brands. Most brands will have their own signature look. Brands like Hermes and Chanel are known for their classic silhouettes and esthetics, for example, while brands like Balenciaga are known for breaking the mold and pushing boundaries. If price isn’t an issue and you really want to start with a timeless, classic piece, then these Saint Laurent bags are a great choice. If you’re looking for something more casual but still classic, you could go with something like a black Loulou Saint Laurent Bag with a matching Saint Laurent T-shirt. It’s all about what you’re trying to do, your personality and style. Whether you’re trying to make a statement or are simply looking for a classic piece that will work with pretty much anything, you’ll find a brand that fits your style. Finding a great designer bag is all about doing your research and knowing what you’re looking for. With these few tips, you should be able to find the perfect luxury bag to start your collection.